Visit the honey store to buy the Freshest Bee Pollen available. Nucleus Colonies for Spring & Summer of 2019 - we also are offering True to Bee Pollen Pattie. TOTALLY RAW HONEY, Our Signature Honey, is available Quarts, Pints & Hexagonal Jars. Also, A Limited Supply of Gallons. FRESH BEE POLLEN and other honey products are also available! 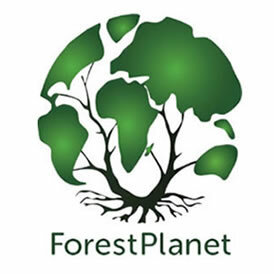 In conjunction with our regional efforts, involvement with Penn State University’s Research, We have now Partnered with ForestPlanet! With 25 percent of our website beeing devoted to Beeing Aware, we aim to bring to the table The Good, the Bad & the Ugly! That said, 16% of our presentation may illustrate the adverse aspects of ‘The State of the Bees’ initially. Let’s collaborate in Finding that Balance! Swarmbustin’ Honey is offering local Nucleus Colonies in the Spring & Summer of 2019 - we also are offering True to Bee Pollen Pattie. To Vets of 911, Bellows to our Passion of Bees, THANK YOU! If You bee new to our site; WELCOME! We have been marketing every imaginable, some unimaginable products originating within a colony of honey bees since the inception of Swarmbustin' Honey. In 2015, we beegan supplying local bees to those in need. Some 911Bees served to re-up the winter losses of other beekeepers; Others used our Bees to xpand their Apiary; Many "Nu-bees" embarking into the Art & Adventure of Beekeeping filled their boxes with 911Bees. 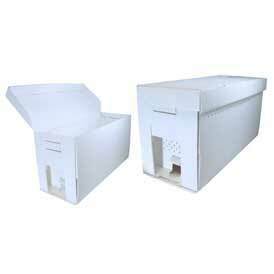 We started selling Nucs to strengthen the weakening gene pool of Honey Bees in our region. Swarmbustin’ Honey is not the only operation in our area providing Local Nucs, yet prior to the availability of Local Nucs, importing Tired Package Bees from the South was the norm. Bees with a less than fair chance of survival! Equipment requiring re-upping the following year! An Accepted Norm, if You will, in this Discard & Replace World of which we are Now a part of. OR NOT. Losing over 150 million acres of pollinator habitat in the United States in the last two decades to agri-business, land development, and the increasing wastelands of sterile lawns, has clearly had resultant effects upon our Honey Bee's Health. 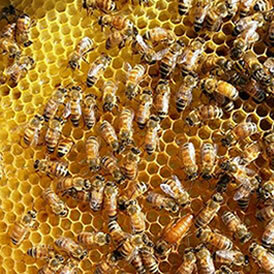 Mark Winston’s Manifesto, a timely inspiration, argues for a new paradigm "that recognizes beekeepers as stewards of both managed and wild bees, promoters of healthy environments, managers of economically sustainable apiaries, and paragons of collaboration and cooperation. It's time for some audacious thinking about the future of beekeeping"
Reviving tracts of Lawns with managed Weeds, which Bees view as Nourishment! will bee the Beeauty and test of our Civilization"
We invite you to lean more about the bees and the issues they face and what you can do to help!